The Best Beginner’s Lessons Available Anywhere! 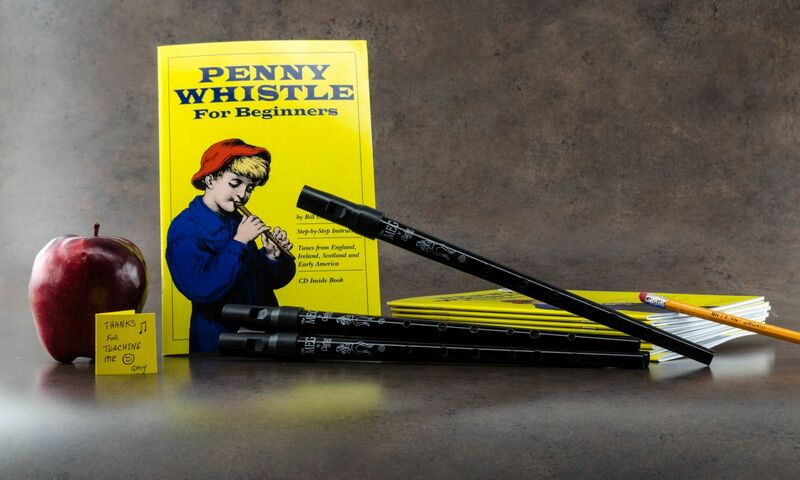 Pennywhistle for Beginners is an abridged edition of the acclaimed book The Clarke Tin Whistle by Bill Ochs. 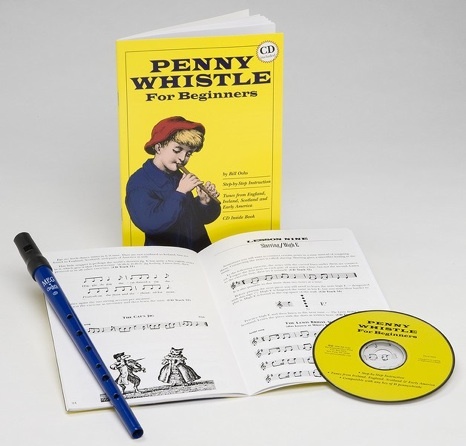 Pennywhistle for Beginners is thirty-two pages long and features twenty-nine tunes from early America, Ireland, England, and Scotland. This beginner’s edition, prepared specially by Ochs, has all the same great beginning lessons as his Clarke book at a price well within your school or group’s budget — just $2.50 per copy when ordered in bulk. No previous musical training is necessary. Using the book’s simple tablature, a complete beginner can learn to play a familiar song in a matter of minutes. Then through a specially selected series of folk tunes, beginners are carefully guided through all the basics of playing, one step at a time. Tablature gradually gives way to staff notation as students learn the fundamentals of rhythm and reading music in a completely natural and fun way. See some sample pages here. A forty-four minute Pennywhistle for Beginners Mp3 is available as a FREE MP3 DOWNLOAD here. No purchase is necessary. It is our gift to you. Playing along with the music is a great way for students to practice. The Clarke Meg tin whistle in the key of D completes the package. The Meg is similar to the popular Clarke Sweetone and is very easy to play. We sell the Meg whistle for $5.08 to schools, but you can save even more by ordering it with the book for a combined price of just $7.50 for the two items. Download the free media and get set for hours of joyful music making! For more details, please see our order page.